Police said they were investigating the death of the 58-year-old who played the flute riff on the Australian band's '80s hit "Down Under"
Men at Work member Greg Ham, second from left, was found dead in his home in Melbourne, Australia, at the age of 58. Police are investigating. Greg Ham, a musician with the iconic Australian band Men at Work, was found dead in his Melbourne home on Thursday, Australian reports said. Victoria state police confirmed that the deceased was the 58-year-old resident of the house but did not identify him by name, in keeping with local practice. Ham was 58 and neighbors said he was the lone occupant of the house. Two concerned friends who had not heard from Ham in some time found the body after going to check on him, police said, declining to release any details on how Ham died or if the circumstances were suspicious. "There are a number of unexplained aspects to it which has caused our attendance here today, and we're assisting the local detectives to determine what has occurred," Detective Senior Sergeant Shane O'Connell told reporters. Newspapers including The Australian and The Sydney Morning Herald reported that Ham had died. Men at Work frontman Colin Hay issued a statement expressing a deep love for his longtime friend, whom he met in 1972 when they were seniors in high school. Hay recalled decades of shared experiences with Ham — from appearing on "Saturday Night Live," to flying through dust storms over the Grand Canyon, to getting lost in the rural Australian countryside. "We played in a band and conquered the world together," Hay said. "I love him very much. He's a beautiful man. 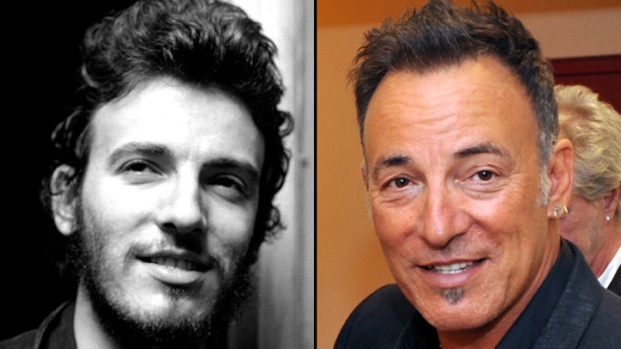 The saxophone solo on 'Who Can It Be Now' was the rehearsal take. We kept it, that was the one. He's here forever." Ham was perhaps best known for playing the famous flute riff in the band's smash 1980s hit "Down Under." But the beloved tune came under intense scrutiny in recent years after the band was accused of stealing the catchy riff from the children's campfire song "Kookaburra Sits in the Old Gum Tree." The publisher of "Kookaburra" sued Men at Work, and in 2010 a judge ruled the band had copied the melody. The group was ordered to hand over a portion of its royalties. Ham later said the controversy had left him devastated, and he worried it would tarnish his legacy. "It has destroyed so much of my song," he told Melbourne's The Age newspaper after the court ruling. "It will be the way the song is remembered, and I hate that. I'm terribly disappointed that that's the way I'm going to be remembered — for copying something." On Thursday, neighbor John Nassar praised Ham, whom he had known for about 30 years. "He was a lovely human being, never judgmental about anyone," Nassar told reporters. "He was a very friendly human being." Ham also played the saxophone and keyboards, and more recently worked as a guitar teacher. "Down Under" and the album it was on, "Business As Usual," topped the Australian, American and British charts in early 1983. The song remains an unofficial anthem for Australia and was ranked fourth in a 2001 music industry survey of the best Australian songs. 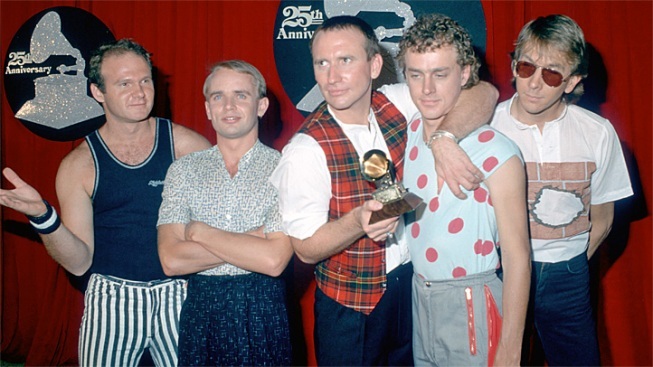 Men at Work won the 1983 Grammy Award for Best New Artist. Australian rock historian Glenn Baker, who was Australian editor of Billboard magazine when Men At Work was at its peak touring the world, recalled Ham as bursting with energy during the band's glory days. "When they came back (from tour), it was generally Greg who I would interview because he'd tell the best stories and he was effervescent, energetic, good fun, good-humored and good-natured," Baker said. "He was having a great time."